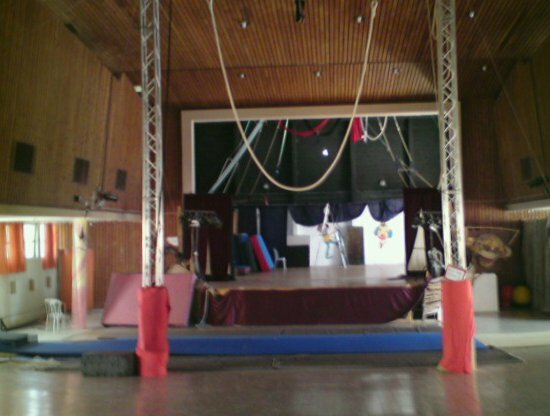 Situated in a renovated cultural centre in Kfar Yehoshua, Israel Circus School has a busy youth and outreach programme but still makes ample space for independent training. There's free time most mornings and evenings, and if there's room it's sometimes possible to train in the afternoon and at other times when classes are running – but training schedules have to be pre-agreed. Along with the $40 p/m price, artists are occasionally asked to donate a performance to School events.